#180: The Maltese Falcon. The title does not refer to Humphrey Bogart, who plays the protagonist in yet another metropolitan detective story. Although, with an aquiline profile like his, he would admittedly look the part. The written prologue introduces the Maltese Falcon as the film’s object of desire. At a time when the Reformation was still young, a wealthy faction of the Order of the Temple residing on Malta sent this jewel-encrusted bird as a gift to their patron, Charles V of Spain. Whether the monarch registered the news of the valuable cargo having been lost at sea with great surprise or resigned anticipation we will never know. 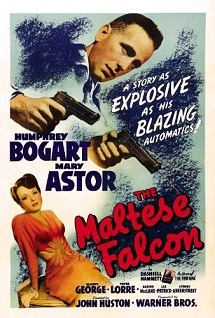 Fast forward to some point during the 1930s and the Falcon has supposedly found its way to San Francisco, where the detective Sam Spade receives a desperate female client with a request that seems harmless enough but will eventually drag him into a web of fabricated lies, gun slingers, and maybe worst of all, art dealers. 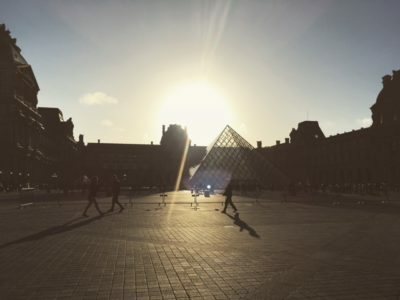 It was a bit of a let-down to realise how little the origins of the artefact everyone is after mattered in the end, and where I expected a subplot involving clandestine agents of the church, there was not much going on after all besides people lusting after money. Or should we consider this a backhanded comment on how an important relic of the past is reduced to its monetary value? If so, you might rightfully call it clever design, but even then, the cast might as well make the same fuss over a rare stamp, and the only alteration this would have caused to the script was the need to change the film’s title. #179: Spotlight. Without a doubt and without ever having seen All the President’s Men, I am going to call Spotlight the single most important journalist flick since All the President’s Men. From my perspective of blissful ignorance, the events of this film even seem to be much greater in scope than Watergate. 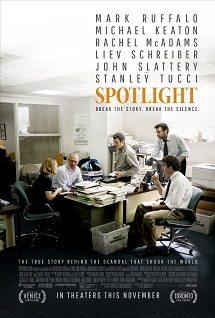 Spotlight is the name of a department within the Boston Globe newspaper company and the film deals with their investigations into the systemic pederasty and paedophilia within the Catholic Church (there is no way some geeks in the production team did not at some point consider “All the Pope’s Men” as a working title). One of the innate qualities of films revolving around journalistic work is the necessity to tell their background story either in hindsight or through implications. Naturally, there is no space to show how 87 Boston priests abused children entrusted to their care, nor would an exemplary showcase do justice to the horrific dimensions of the case. But once again we get a clever director, who only presents us with what we absolutely need to know and then lets our imaginations flesh out the details. Whatever happened between a child and their priest we only get to know through the narratives of the aged victims, and though they are usually quite short they are powerful enough to vivify what has happened. The intensity and focus that Rachel McAdams and Mark Ruffalo manage to portray in the two journalists Sacha and Mike is a feeling I rapidly appropriated while watching them, as well as their frustration when 9/11 interrupts the investigation. Spotlight is prime fare for fans of straightforward office action, of a kind that is not watered down by subsidiary plotlines because people are too seriously bothered and busy dealing with priests fondling kids’ bums to seek diversion in office romances or the like. #178: Platoon. Fresh out of boot camp, a couple of young men arrive on an airfield in Vietnam. Whatever they may have heard about soldiers’ lives on the front before, the faces of the broken veterans with their bloodshot eyes are a blunt prediction of the hell they themselves must go through. Their lack of hands-on combat experience makes the more seasoned soldiers meet them with a stoic and mocking unwillingness to spare any help or advice, and on their first patrol in the jungle one of the newcomers is killed during a night raid because an older sentry could not be bothered to keep his eyes open during the watch. So yes, this is a war film. And yes, that rookie soldier in the lead role is Charlie Sheen, which unfortunately makes much of what he says or does very difficult to take seriously. Call me mentally inflexible, but whenever the film presents me with yet another scene to establish him as the sort of thoughtful but troubled idealist who is in constant danger of snapping in the face of the war’s horrors, all I can think of is a certain sitcom character. From a show I did not even watch. But apart from this striking figure, and granted that the makers could not have had any idea of the persona Sheen would eventually develop into, the film possesses exactly the kind of balance IMDb voters seem to favour in a drama about war. 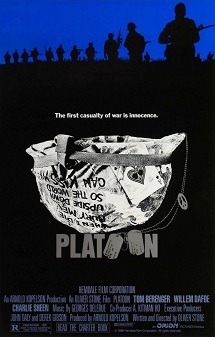 Platoon does not feature a cast of heroic Americans but a strike force of mentally wrecked fighters suspecting everyone and everything, men who would rather shoot you twice for safety before starting to ask any questions. 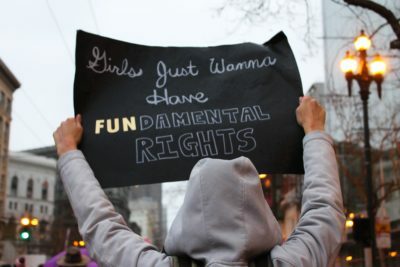 But there would be no real balance without even the most violent and seemingly heartless of the whole bunch also getting the opportunity to provide some insight into the drive behind their actions. You will probably end up not liking them anyhow, but at least it makes them vaguely relatable. Couple this with the film’s colour composition and you might feel for them even a bit more. They do call the jungle a green hell for a reason, and there are almost no words to express how much I was fed up with seeing nothing but green by the time the movie ended. It was all I could do to not run out and torch the neighbours’ shrubbery. #177: Rush. I clearly remember saying there were no movies about sports other than boxing that make it to the list. 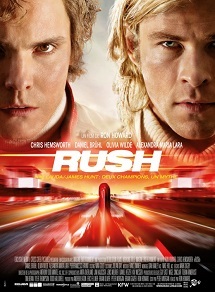 Rush is a film about the Formula One and therefore I was going to revoke my earlier statement, but then I remembered how coping with being wrong is not my strong suit, so instead I will argue now that sitting on your arse for one and a half hours, no matter how fast you are technically moving during that time, cannot be much more of a sport than competitive pool. Thankfully, it was reassuring to see that Rush obviously already knows all of this and even condescends to agree with me to some extent. It is the year 1976, in which the longstanding and thoroughly publicised rivalry between Niki Lauda and James Hunt culminates with their head-to-head race for the world championship. Lauda, being a special Austrian crossbreed between ambitious machine-head and calculating statistician, has almost nothing in common with the vivacious and impulsive British aristocrats’ toy James Hunt, who posits that driving around in circles for seventy laps might seem pathetic to most people, and probably is – thank you, James. The screenplay takes his sentiment to heart and is considerate enough of our impatient minds to let none of the races take precedence over the background story by taking up too much space. It does, of course, allot enough time for the odd creative camera angle, such as the artistic “pedal shot” in which the camera points up from a pair of industriously gear-shifting feet and allows a generous view of the driver’s crotch, which I am sure is something we can all appreciate. #176: Zootopia. The official message of this Disney animation flick reads “Anyone can become anything”. Such a motivational bombshell raised about half a dozen red flags when I heard it, since it usually is a tacit warning that musical interludes might pop up at every junction in the story. Surprisingly, Zootopia remained largely unmelodious, although I know not everyone will embrace such a fact with as much enthusiasm as I do. 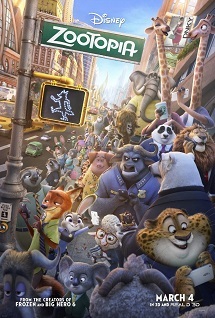 Zootopia is the eponymous city where a bunch of anthropomorphic animals have overcome the evolutionary dividing line between predator and prey and have learned to live together harmoniously. More or less harmoniously I should say, since the friction within the populace was apparently still enough to warrant the establishment of an urban police force. The motivational drive gets introduced with Judy Hopps, who applies at the police academy in the hopes of joining the illustrious (we are talking rhinos and elephants) ranks of officers, even though her massive handicap of being a tiny rabbit makes her an unlikely recruit. Her struggles against prejudice reveal how the patchwork symbiosis of animal society is constantly assailed by a persistent backward mentality that the evolutionary differences between predators and prey should by all means render any long-term communal life between them impossible, effectively calling for a society divided by castes. Doesn’t exactly sound like meagre fare for a children’s movie, right? I only would have wished for more creativity in the worldbuilding department, which in comparison does not seem too inventive. After all, Duck Tales and others have already created cities populated with animals and developed the concept more intricately, albeit they had decades to do it. They even share the peculiar detail that all the animals wear clothes and are self-conscious about being naked when they do not, yet not many see the need to buy any shoes. current #208: The Princess Bride. A film from the 1980s, where the common procedure to tell a fantasy story was to have someone in a frame narrative read it aloud from a book. If you are completely unfamiliar with The Princess Bride, chances are that you might have grown up with The Neverending Story instead, which follows the same tradition but contains a graver story. 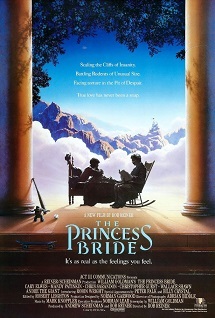 The Princess Bride is uncompromisingly light-hearted. The owner of the book in this case is a grandfather, who reads the story at the sickbed of his grandson. The book itself must be unusually short, because they manage to get through all of it in one sitting with just a single food break. It is the story of the true love between a farm boy and Buttercup (Robin Wright, House of Cards’ Claire Underwood), whom Florian’s prince Humperdinck wills to become his wife, and yes, these are the kinds of character names you can expect to hear a lot. In the chase to reclaim his girlfriend, the farm boy first beats and is then joined by two mercenaries, a rhyming French giant and a Spanish fencer on a personal vendetta against Humperdinck’s master-at-arms. Above all, we might read The Princess Bride as a testament to 80s hairstyles that have since regrettably fallen out of fashion, with their love for glistening curls and rock-hard hairspray sculptures. It is difficult not to get lost in the dreamy waves of prince Humperdinck’s blow-dry. The Princess Bride is filled with irony and self-deprecation, and no one is expected to take it seriously or make sense of its many plot holes. Characters frequently go out of their ways to mock each other or make fun of common tropes in fantasy literature, the narrative as a whole is regularly interrupted by the grandson, and passages are partly repeated because his grandpa has lost track of where he left off. You can try to apply your own criticism, but the acting is just so deliberately laughable, the lines can be so off-putting and absurd, and the whole love story turn so cheesy that you will either turn it off immediately or stay until the end. Do not look for great cinema. The Princess Bride has already stripped itself of any ambitions and only left what is enjoyable. Niklas could hear Santa knocking while writing this article.